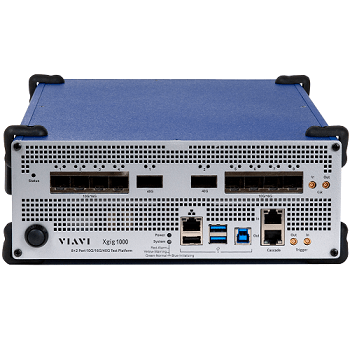 VIAVI Solutions announced the launch of Xgig 1000 24 Gbps SAS Analyzer, the first solution available for validating and ensuring 24G Serial Attached SCSI (SAS) network performance in a fully integrated, stand-alone system. This versatile storage network testing solution helps equipment manufacturers improve R&D efforts, as well as support data centre deployment and troubleshooting in the field. VIAVI’s Xgig 1000 24 Gbps Analyzer enables simultaneous analysis and error injection for SAS protocol traffic at all layers of the stack, delivering one of the most powerful monitoring and analysis systems available for SAS applications. The system not only captures and analyzes live data traffic to verify performance, it also provides traffic jammer capabilities to simulate errors in real time for testing the responsiveness of error recovery processes. VIAVI Introduces Powerful Monitoring and Analysis System 0 out of 5 based on 0 ratings. 0 user reviews.